New delhi: The Union cabinet on Thursday cleared proposals to overhaul the legal framework governing cooperative societies, decided to offer 20% equity of Rural Electrification Corp. Ltd (REC) in the primary market and increased the support price of rice by another Rs50 for the ongoing kharif season. The cabinet also cleared a proposal to introduce legislation in the winter session of Parliament to fix a “fair and remunerative" for levy sugar at Rs129.84 per quintal which is linked to 9.5% recovery. Also, for every 0.1% rise in recovery, the legislation would fix an additional price of Rs137 per quintal. The government had already issued an ordinance on this effect. “Cooperative societies today are playfields of all kinds of people," home minister P. Chidambaram said, explaining the reason to grant constitutional status to cooperative societies. 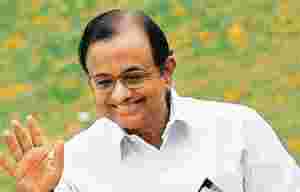 Chidambaram, who briefed the media on cabinet decisions, said the main features of the proposed amendment are to make obligatory for the states to promote voluntary formation, democratic control and autonomous functioning of cooperative societies. The Congress-led United Progressive Alliance had promised such an amendment in its agenda of governance in its first term beginning 2004. In the case of REC, CCEA has decided to allow the firm to club a 15% fresh issue of equity shares with 5% divestment of government’s stake “at an appropriate time". In response to a question, Chidambaram said REC’s public offer should happen in this fiscal year. Following the public offer, the Union government’s stake in REC would stand at 66.8%, he said. After the bonus of Rs50 per quintal and assuming a procurement level of 25 million tonnes of rice, the estimated financial implication in 2009-10 of bonus is expected to be Rs1,884.79 crore, a government statement said. The government had earlier fixed the minimum support price of rice for the ongoing kharif season at Rs950 a quintal for the common variety and Rs980 per quintal for the grade-A variety. The cabinet committee on infrastructure, which also met on Thursday, cleared the implementation of three projects to widen national highways to four lanes that include Rohtak-Bawal in Haryana, Moradabad-Bareilly in Uttar Pradesh and Barasat-Krishnanagar in West Bengal.